Χειροτεχνίες: 70 κοστούμια για τις φετινές απόκριες !!! 70 κοστούμια για τις φετινές απόκριες !!! Since galaxy print was a huge fashion staple this past season, it's easy to find on sale right now. 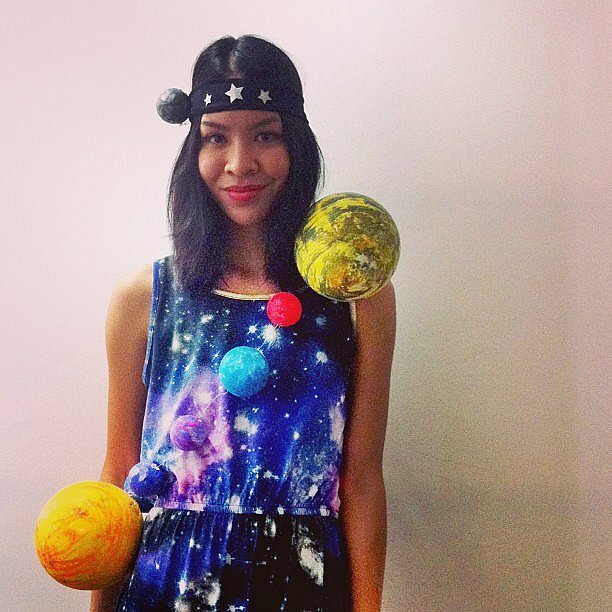 Attach foam planets to a galaxy dress, and shoot for the stars! 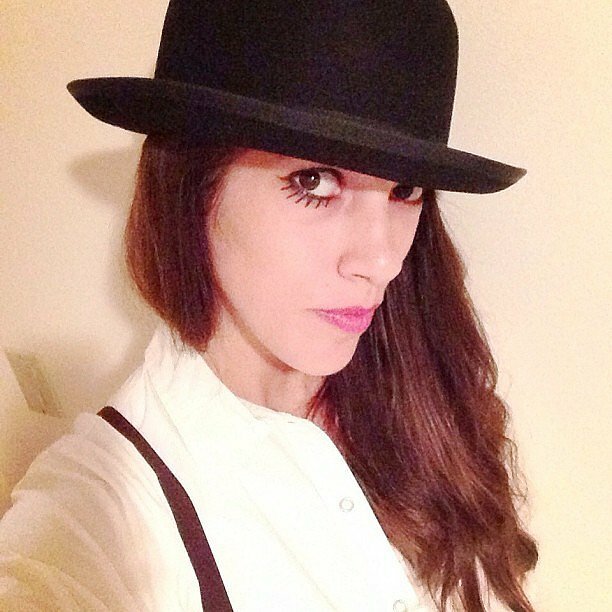 With a bowler hat, a set of false lashes, and an all-white outfit, you can easily dress as the dystopian antihero from Stanley Kubrick's 1970s film. Turn a favorite childhood plaything into your costume this year by cutting clothing shapes out of poster board, leaving a few square tabs along the sides. Simply tape the cutouts to your clothes and doll yourself up (pun intended) with girlie hair and makeup for a great costume! Just like Katy Perry  channeled a rainforest babe in her video for "Roar,"  you can be queen of the jungle with some leopard print and fake leaves. 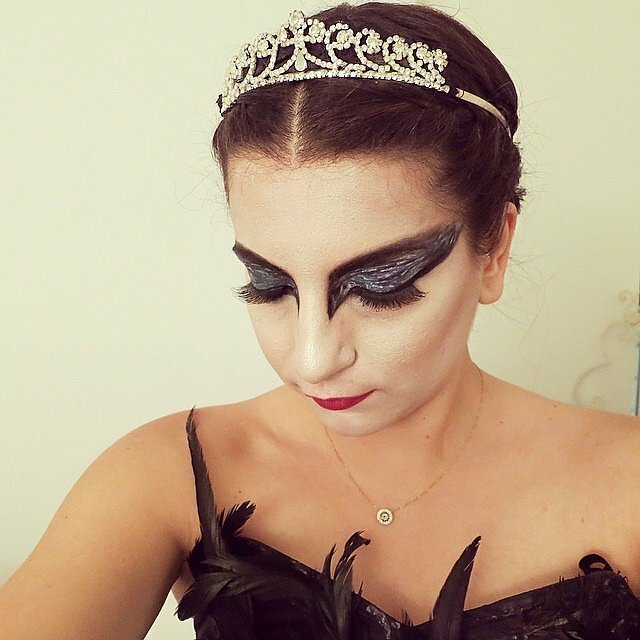 You'll feel like a royal with dark lips, a black dress, and Lorde-inspired hair. Either curl it and let it hang wild or opt for a braided crown! Your friends will love this play on words! 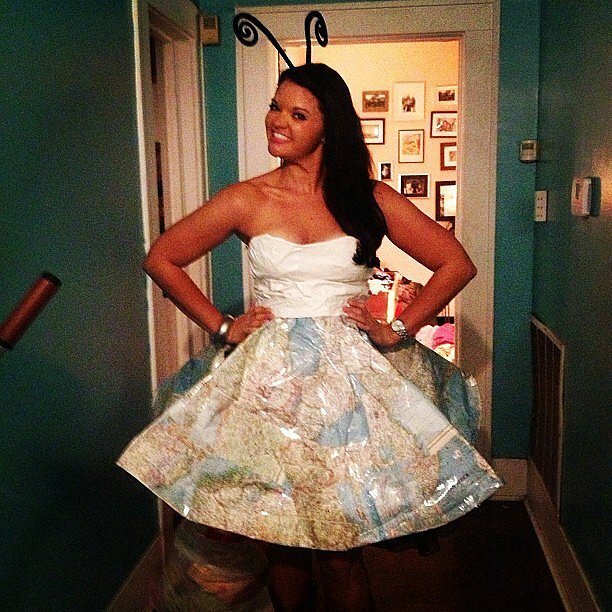 Attach maps to your clothes and create "antennas" (pipe cleaners attached to a headband should do the trick) for a quirky take on wanderlust. 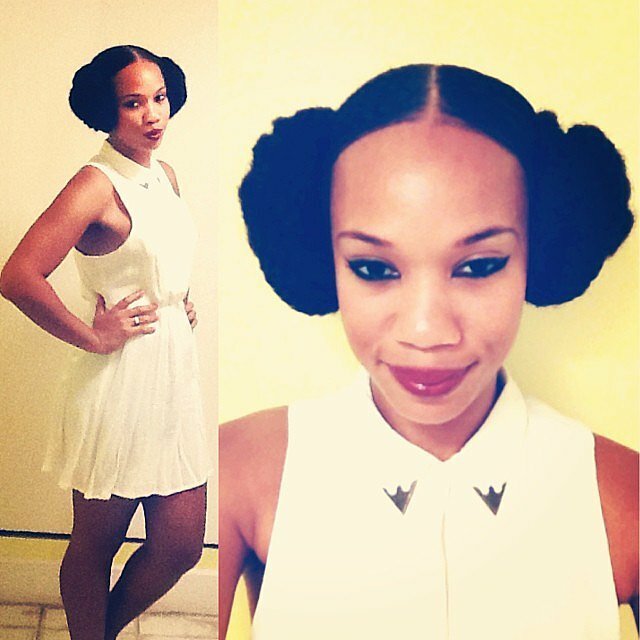 Simply throw your hair into two side buns and don a white dress to rock this Star Wars costume. Nobody will be calling you a scruffy-looking nerf herder at any Halloween  parties! 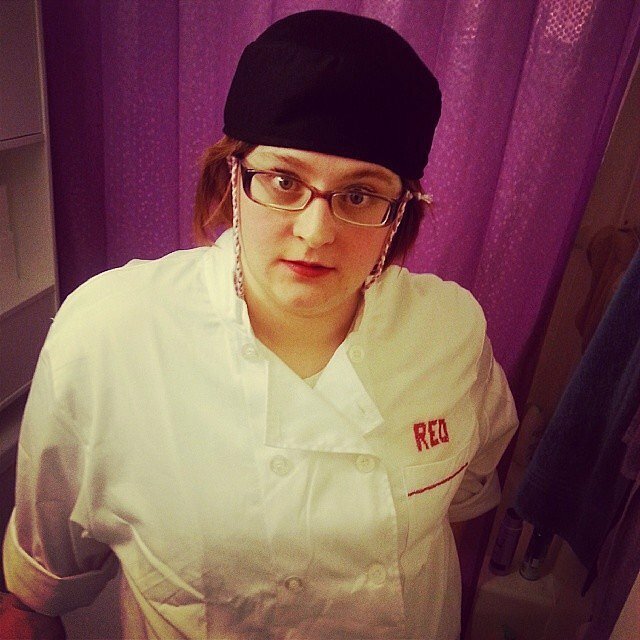 Everybody's favorite mafia-affiliated chef is an easy costume. Simply wear glasses, a black hat, and a white dress shirt to look like you work in a prison kitchen! 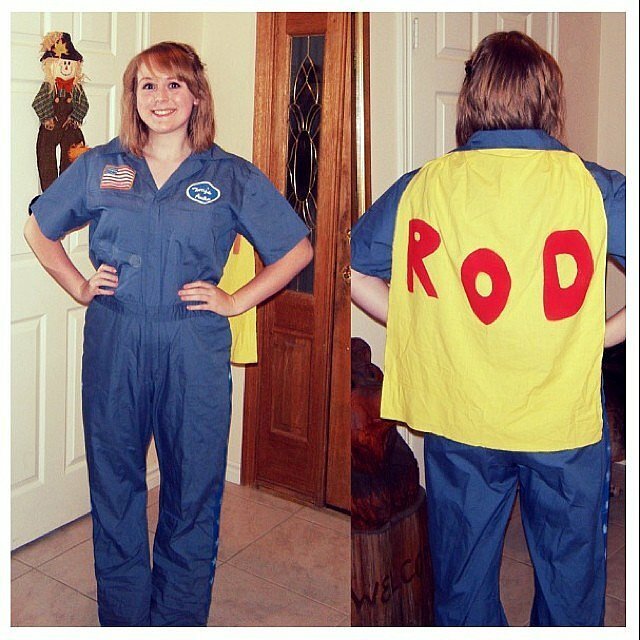 Dressing up as this feminist icon is easy! 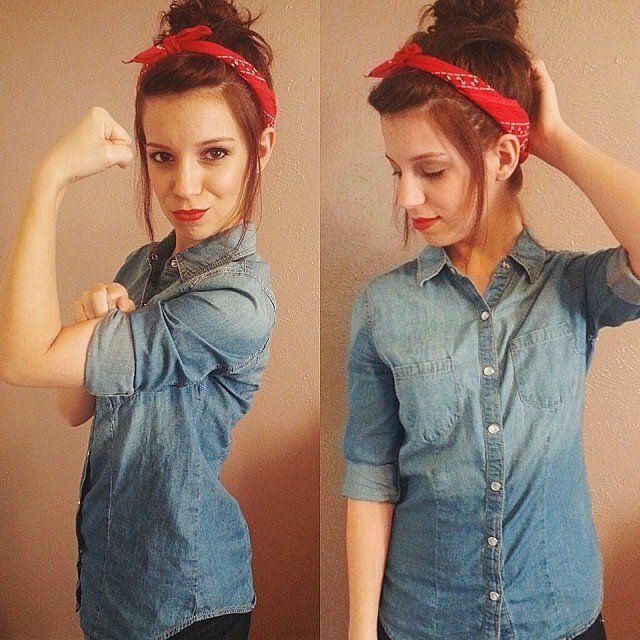 A red bandanna and denim shirt are all you need to create this look. Nothing is better than Disney and tacos. Nothing. Wear a yellow dress and a hair bow, then bring tacos for all your friends! While a black dress and pearls make up the most famous Breakfast at Tiffany's look, Audrey Hepburn's character also dons a sleeping mask and white dress shirt in other scenes. 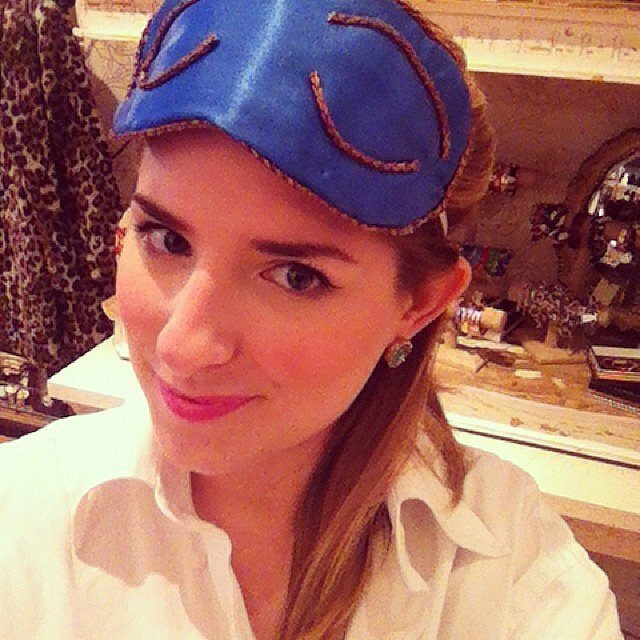 Draw lashes on a blue eye mask and enjoy the coziness of Halloween  in a comfy collared shirt. 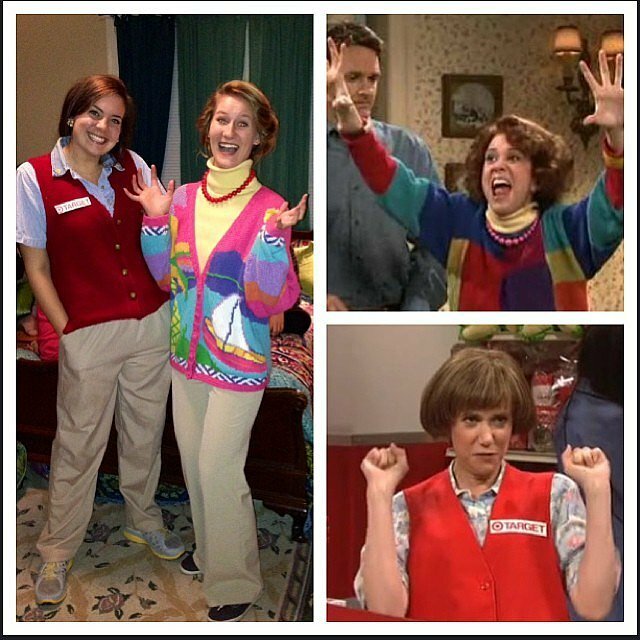 Whether you like the Target Lady or Sue the Surprise Ruiner, Kristen Wiig's famous characters from Saturday Night Live are easy to imitate. Guys aren't the only ones who can channel The Doctor. 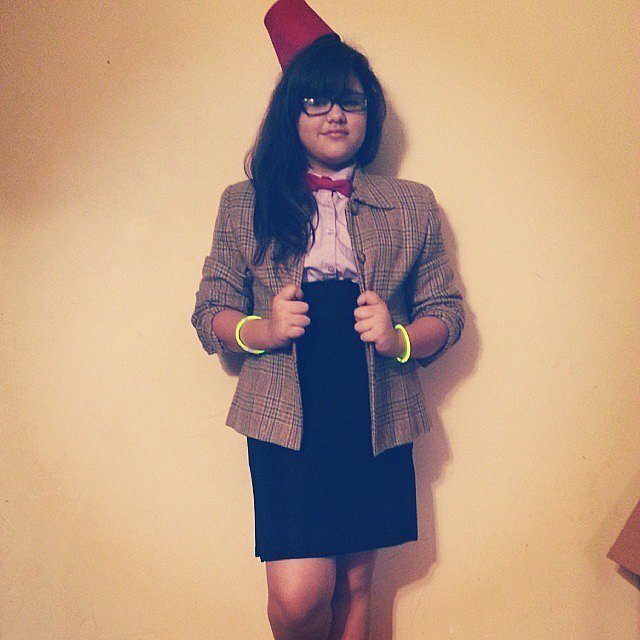 Create a fez cap with a cup and headband, thrift a brown blazer and red bow tie, then improvise the rest! 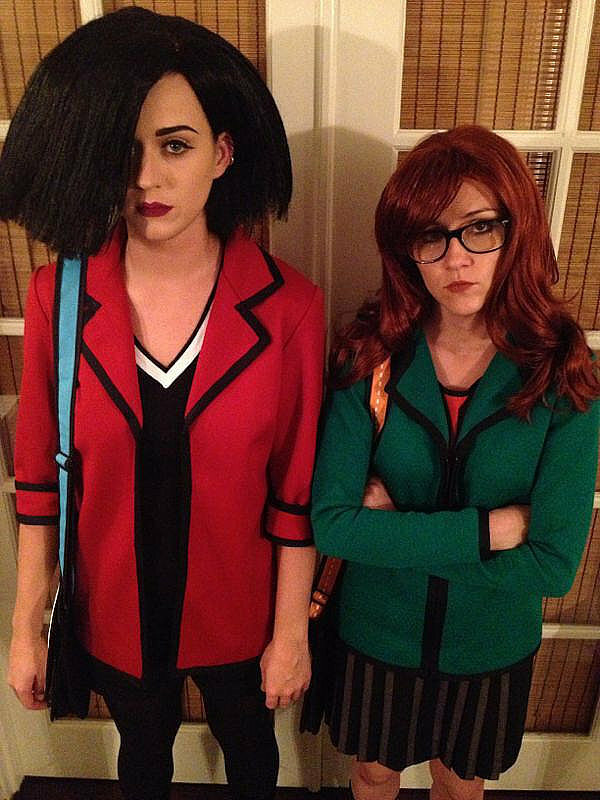 Fans of this Andy Samberg  comedy will love your costume creativity. All you need is a work jumper, makeshift cape, and goofy smile for this costume. For bonus points, dig up a fake mustache! Ever hear the saying that artists need to become their work? 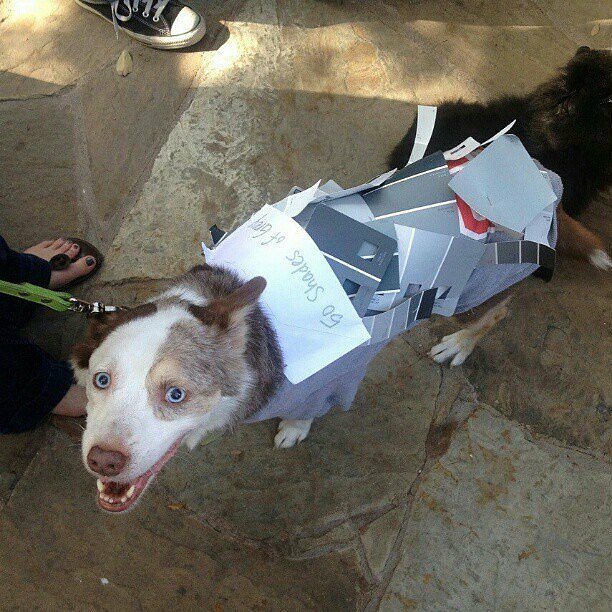 For this costume, take it literally. 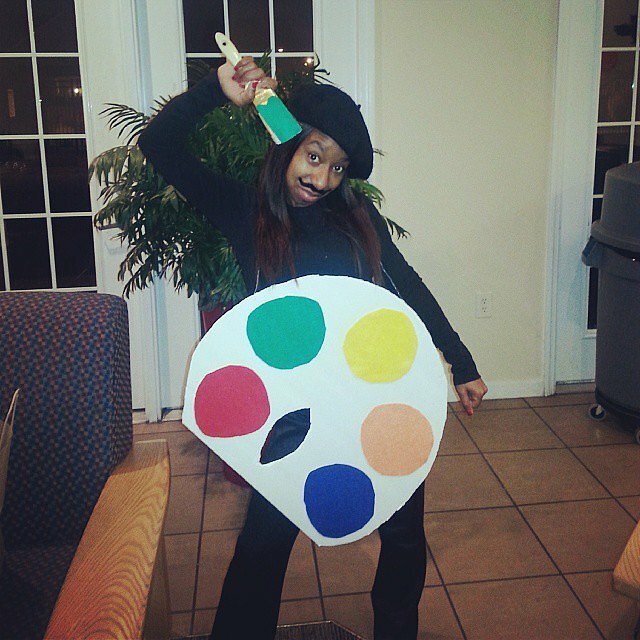 Create an artist's palette with cardboard and paint, then carry the paintbrush you used with you on Halloween  night. 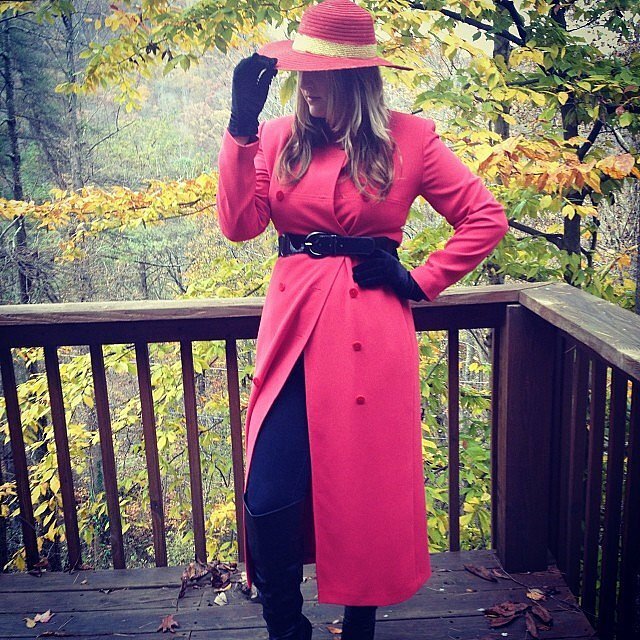 With a red coat, black pants, and a yellow ribbon tied around a red hat, you can show people exactly where in the world you are this Halloween . Dress like a deer and attach a paper "oh!" 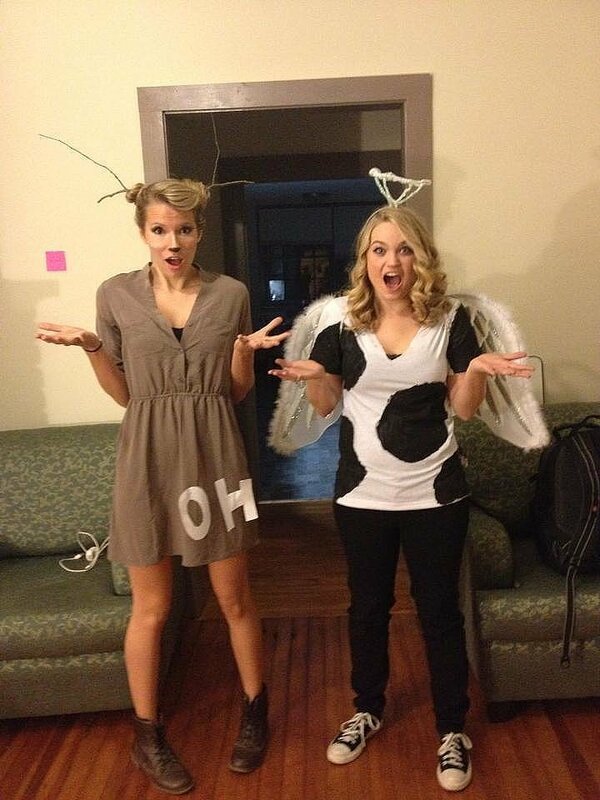 to your outfit, or add wings and a halo to your favorite cow ensemble. Once people see the joke, they'll love your cute play on words! 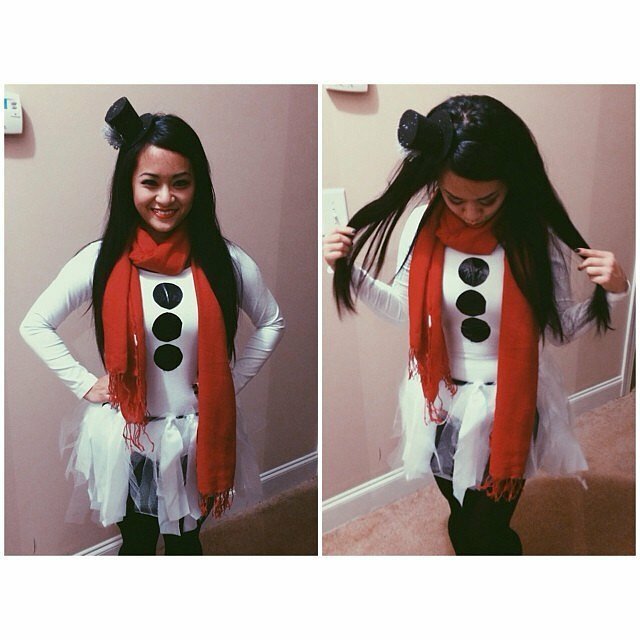 Layer a red scarf and black paper dots on top of white clothes for this easy costume DIY . 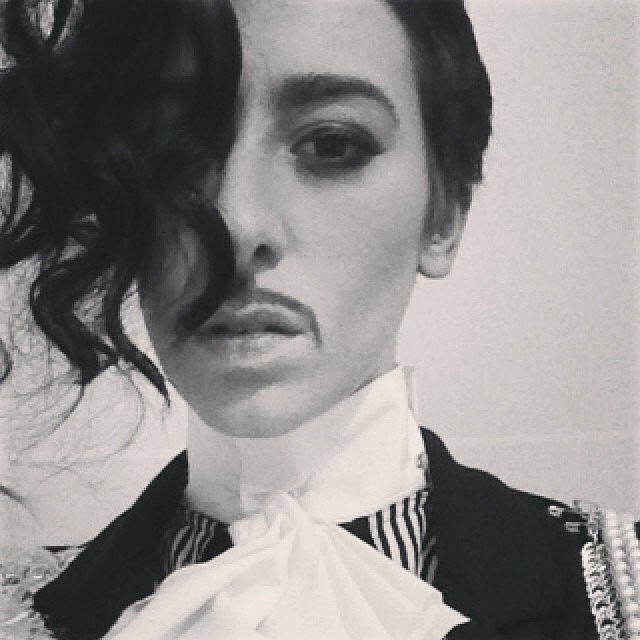 Eccentric clothing, hair in your face, and an eyeliner mustache will instantly transform you into this music legend for Halloween . 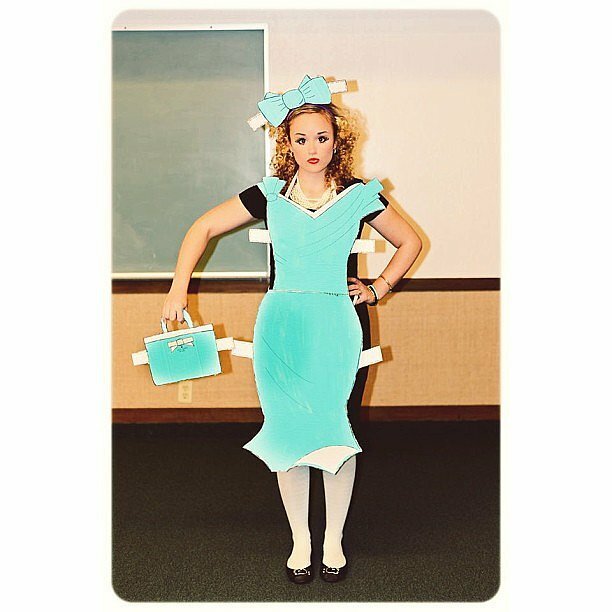 Rule every Halloween  party as the Plastics leader, mean girl Regina George. 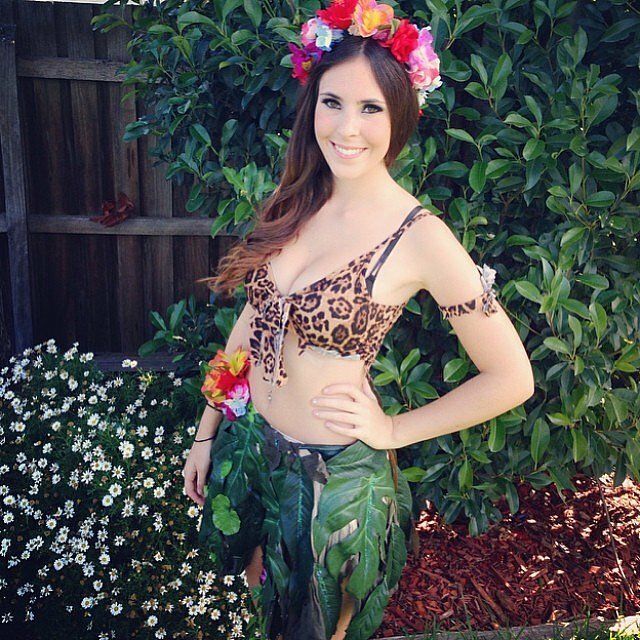 Cut holes in a top and layer with a colorful bra for an easy yet awesome costume. 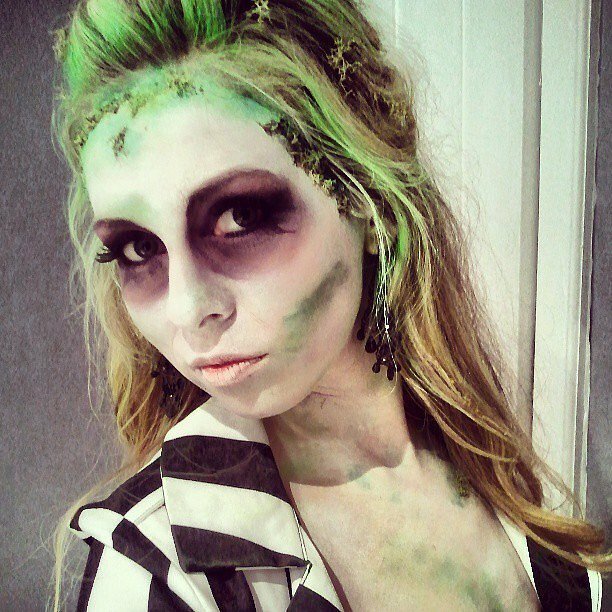 The magic is in the makeup for this stunning costume. Copy Natalie Portman's film character  with feathered eyes and pale skin, then don a black skirt and ballet flats. 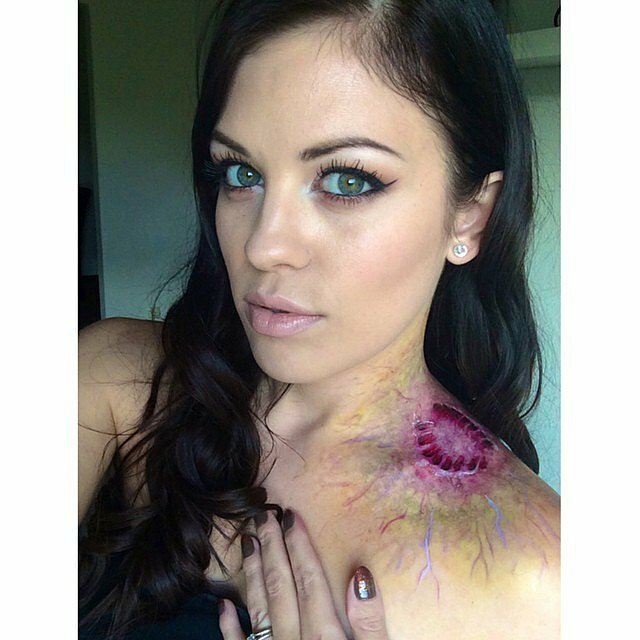 Get your makeup hand ready to apply some seriously gnarly special effects to your skin! Once you've painted a zombie bite and infected veins, the rest of your outfit is up to interpretation. 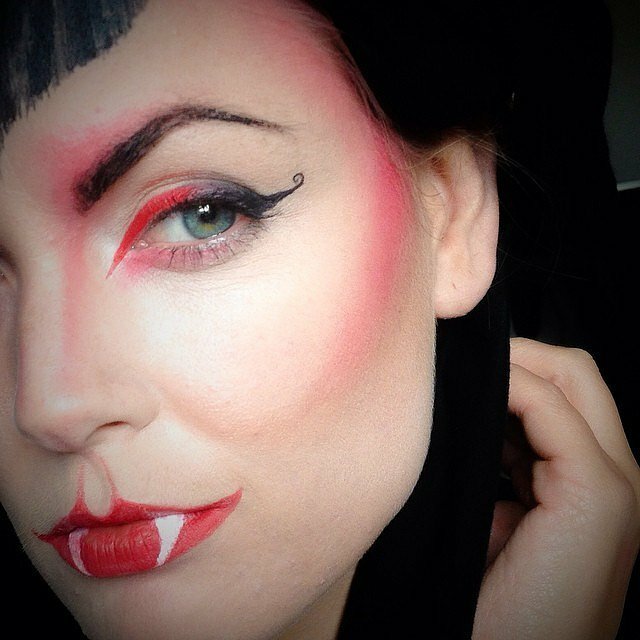 Red facial contouring and painted fangs are simple to apply with a cheap Halloween  makeup kit. 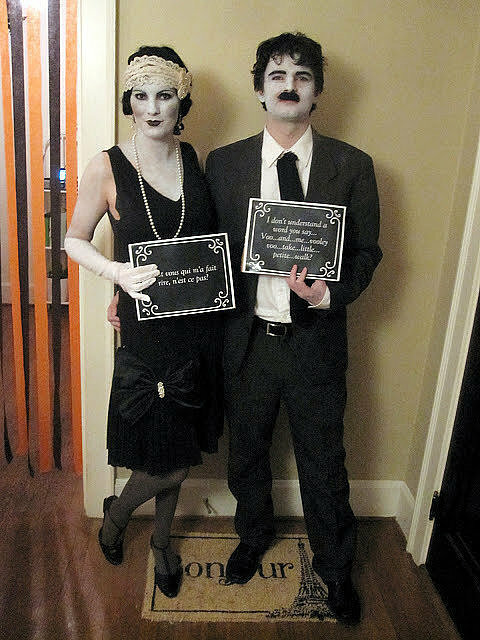 This black-and-white film star costume might be perfect for those who think silence is golden. Go grayscale with black and white body paint, then stick to vintage clothes in only black or white. 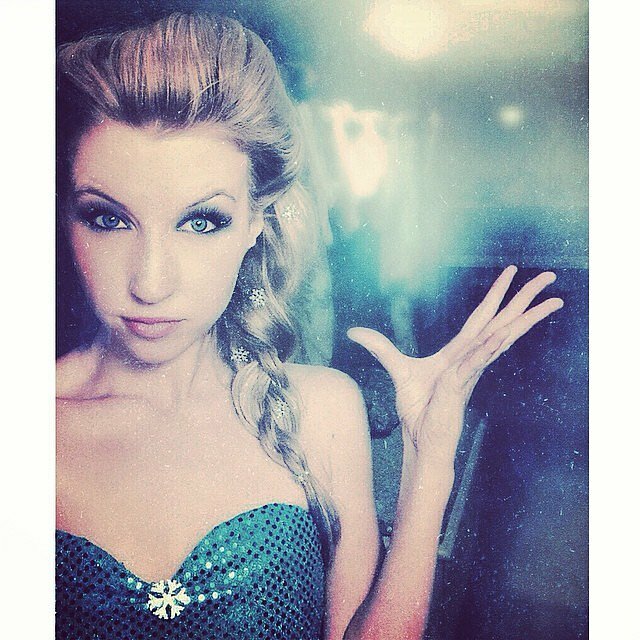 Blue clothes and a side braid will help you dress like this Disney ice queen for the holiday. There are plenty of iconic Miley looks to imitate, but double buns and red lips are the easiest. Don't forget to stick out your tongue! 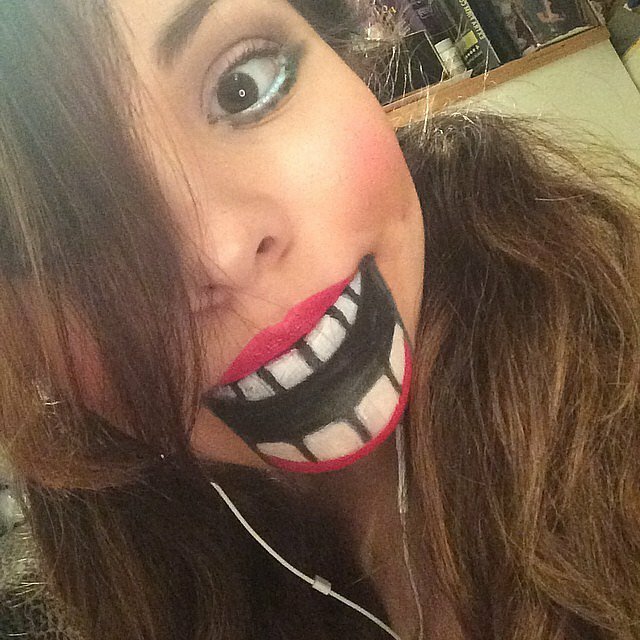 Yet another costume perfected by makeup alone, this marionette look is sure to creep out your friends. Unleash your inner entrepreneur and play the enterprising Deb. 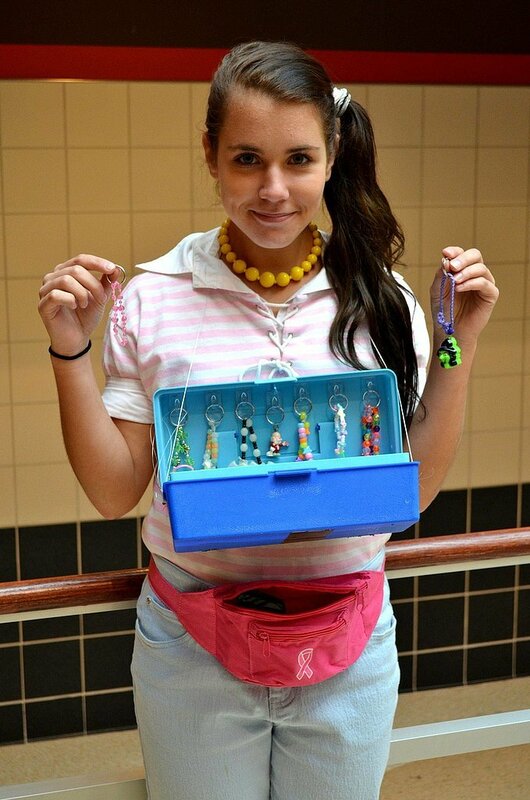 Get a pale pink- and white-striped polo shirt, side ponytail, pink fanny pack, and a plastic box with plastic jewelry to really nail the look. 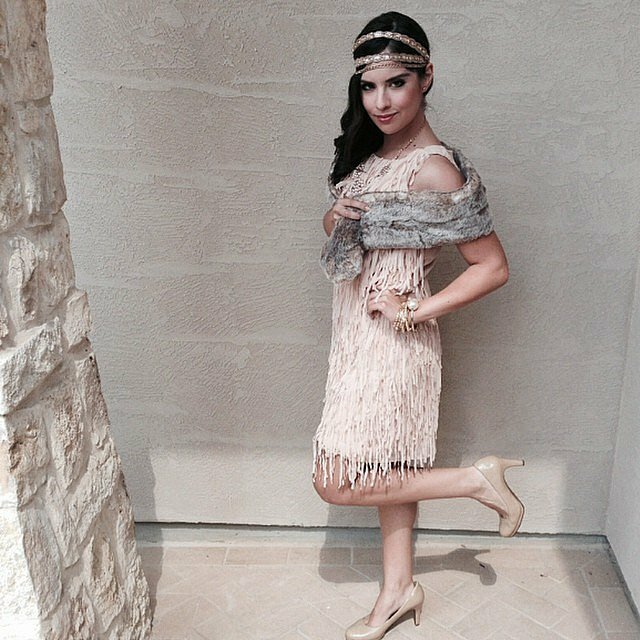 Every piece of this 1920s ensemble can be found in thrift shops, from the fringed dress to the shimmery headbands. Beware of Gatsby wannabes trying to sweep you off your heeled feet! Paint a cardboard box to match Barbie's pink packaging, then layer on heavy makeup. 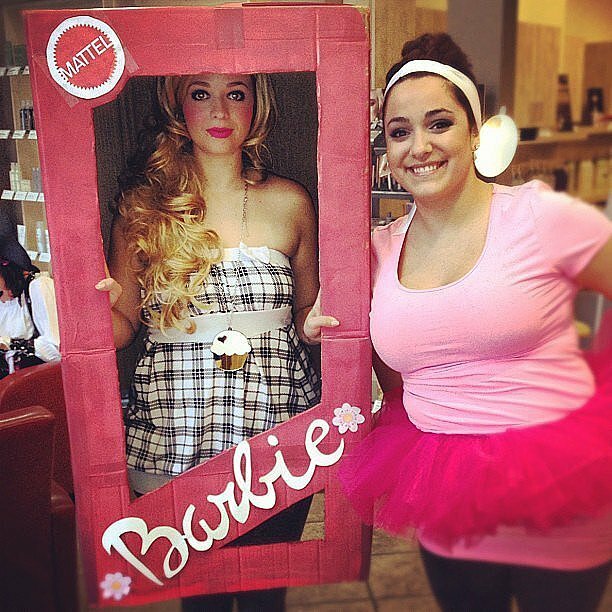 It's easy to be a Barbie girl in a Barbie world for Halloween ! 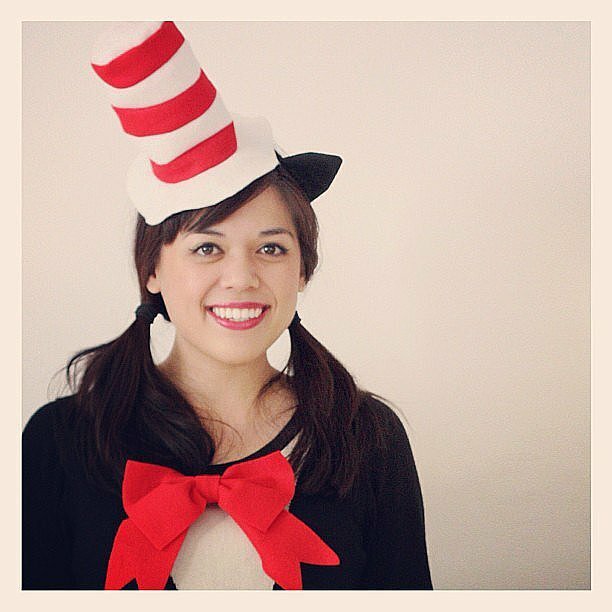 A striped hat and big red tie will pull together your Seuss-inspired Halloween  look. 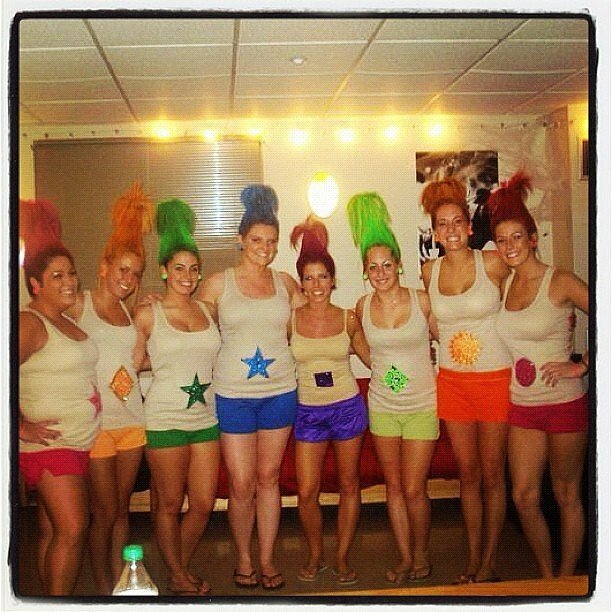 A bath puff costume is sure to be one of the most creative costumes of the night! And you can make it yourself with string and colorful tulle. 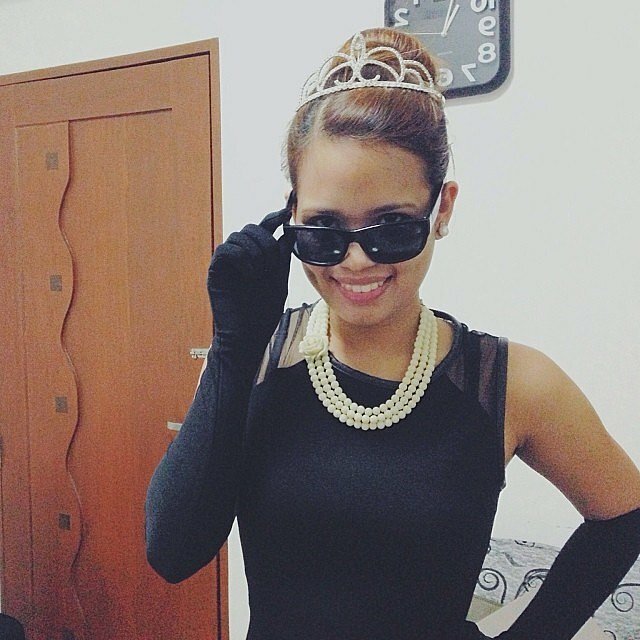 Costume jewelry, a tiara, gloves, and a LBD will transform you into a glamorous film star just in time for Halloween  parties. 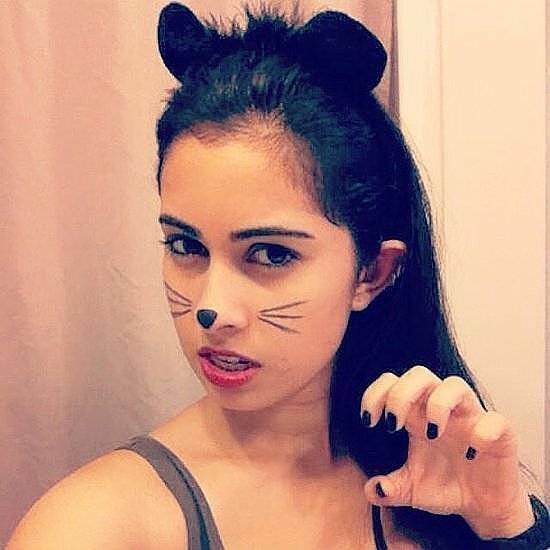 All it takes to nail this classic costume is eyeliner whiskers and some fake cat ears. Meow! Witty and easy? 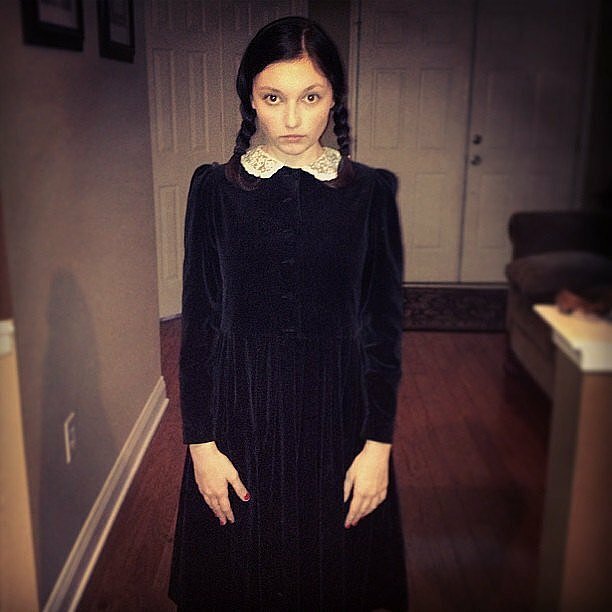 This costume is perfect for the funny girl in a last-minute costume pinch. 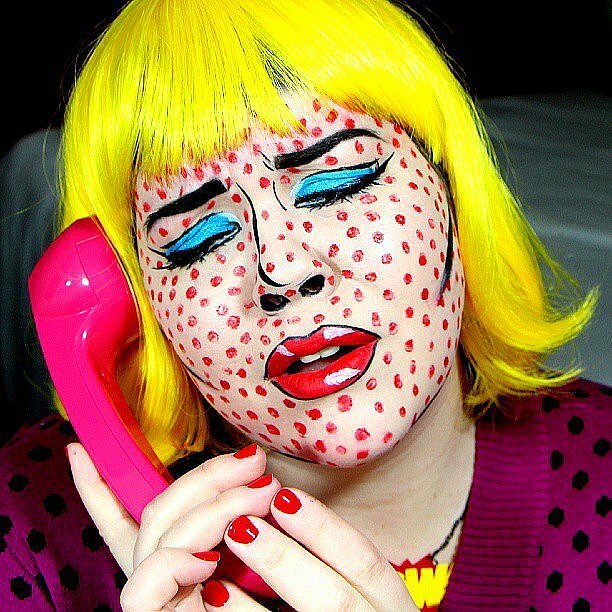 Invest in a Halloween  makeup kit and impress your friends with shockingly cartoonish features for Halloween. Wow the crowds on Halloween  by transforming yourself into a glamorous circus performer. Paint your face to the extreme with huge, faux eyelashes and stage makeup. Wear headgear with a huge feather or even a cool-looking top hat. Suit up with a leotard, and you're ready to begin the show! Everyone will think you're the cleverest girl at the party — especially your friends who majored in psychology. Write some of Sigmund Freud 's famous terms on simple strips of paper and glue them to a silky negligee, and you have become a Freudian slip! Be the neighborhood dogs' worst enemy this Halloween . 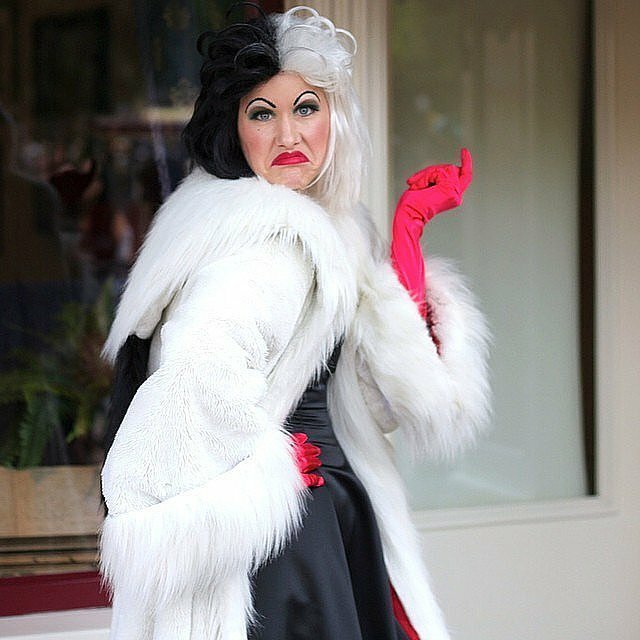 Wear a long black skirt or dress, spray temporary dye in your hair, wear a white fur coat, and carry a cigarette holder. Don't forget the dramatic eye makeup! Prepare to give everyone deadpan looks and monotone answers the whole night. 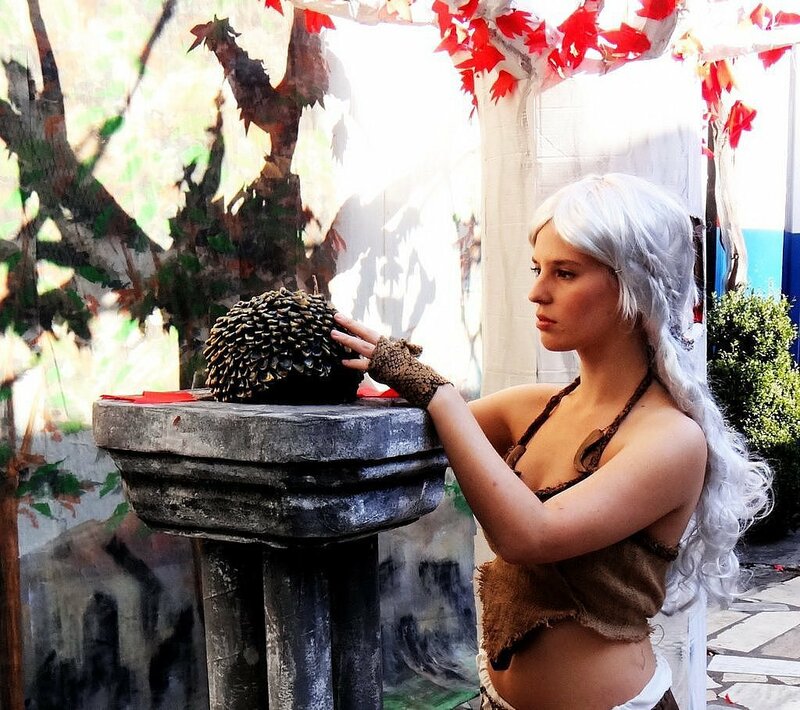 Get a light blonde wig and a costume you can make from strips and pieces of brown cloth. Don't forget the toy pet dragon to complete this Game of Thrones look! Creating a grayscale outfit is one of many fun (and free!) ways to use hardware store paint chips . Not to mention the hilarious play on words! Simply copy this dog and attach gray paint chips to your clothes. 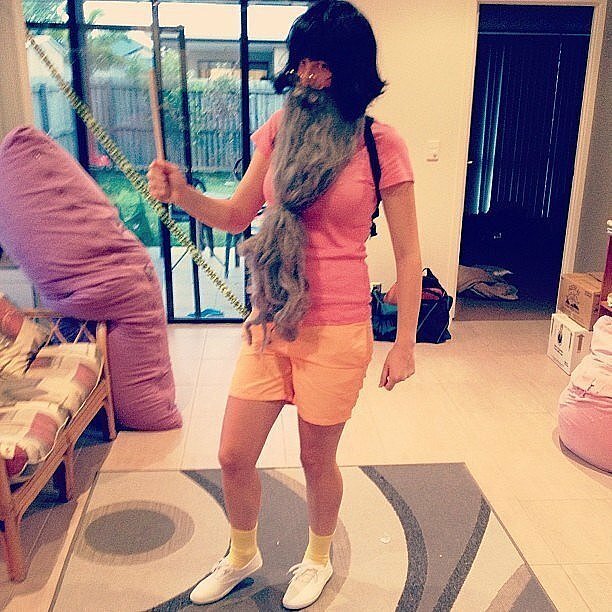 Combine your love of Harry Potter and children's cartoons by adding a wand and beard to colorful clothing. Pack some spell books in your backpack! 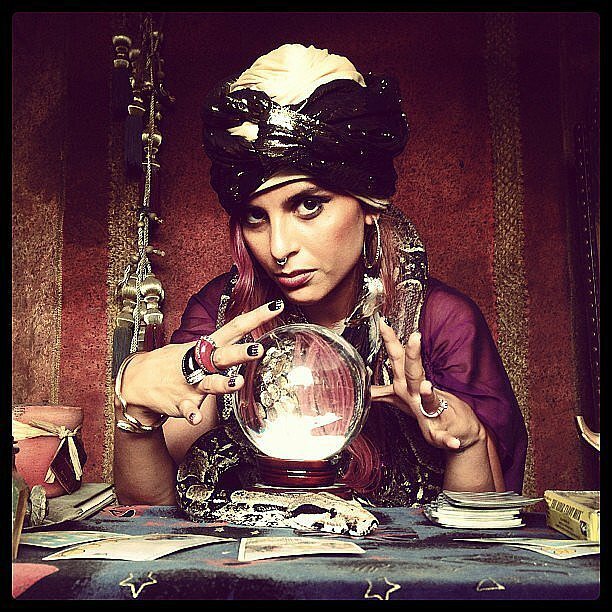 Impress people with some gypsy magic and have fun walking around telling fortunes of your friends. 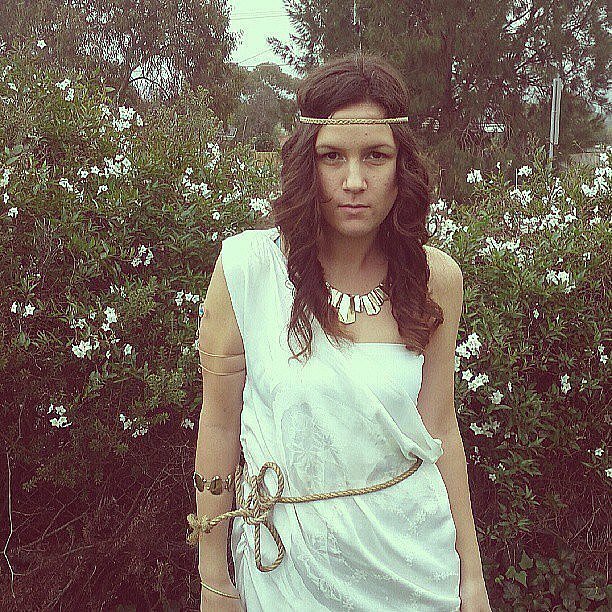 Throw a scarf around your head and don tons of jewelry to channel a spooky sybil. 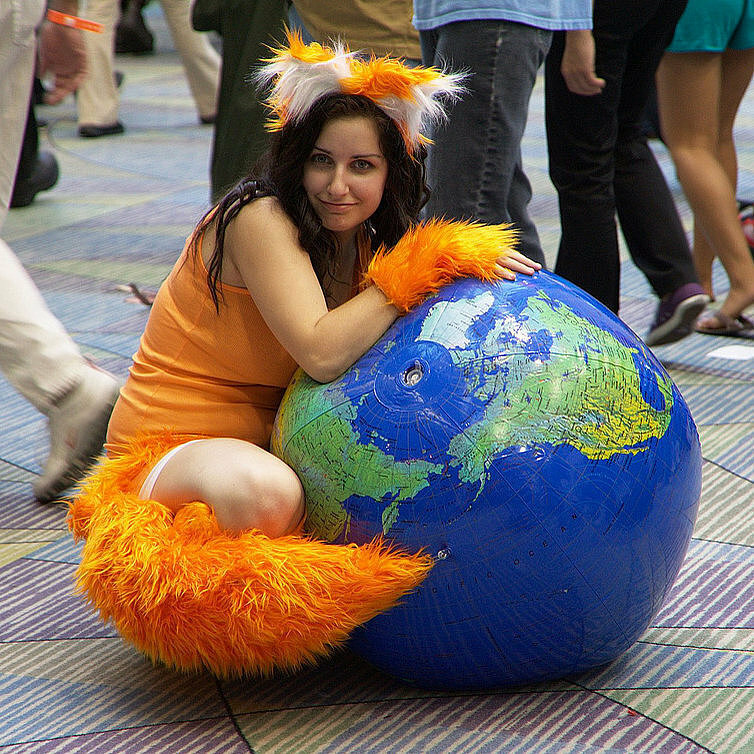 Get an orange outfit that includes furry orange ears, a tail, and fingerless gloves. You also need a globe, which you can make using an inflated ball and painting it! Internet Explorer users, beware. 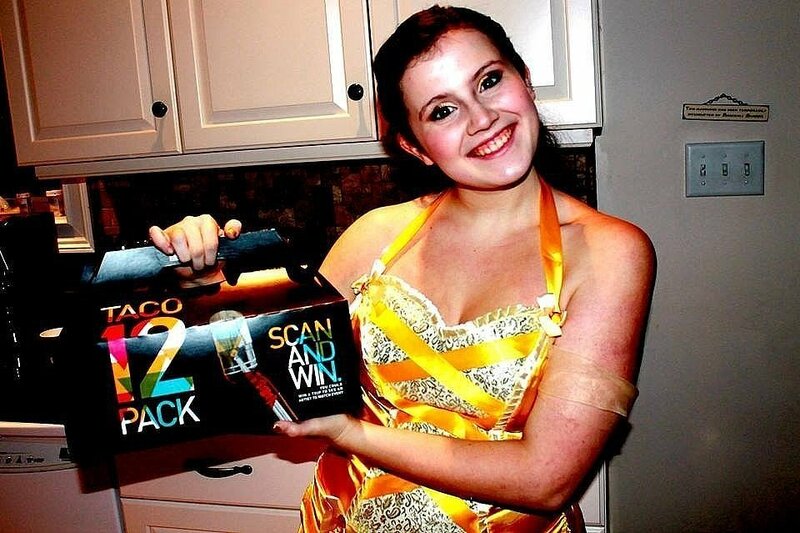 Recall your college toga party days by wearing a sheet and gold ribbon as your costume. Dress in all gold — or spray-paint your clothes gold for a DIY  project — and accessorize with a shovel and helmet. 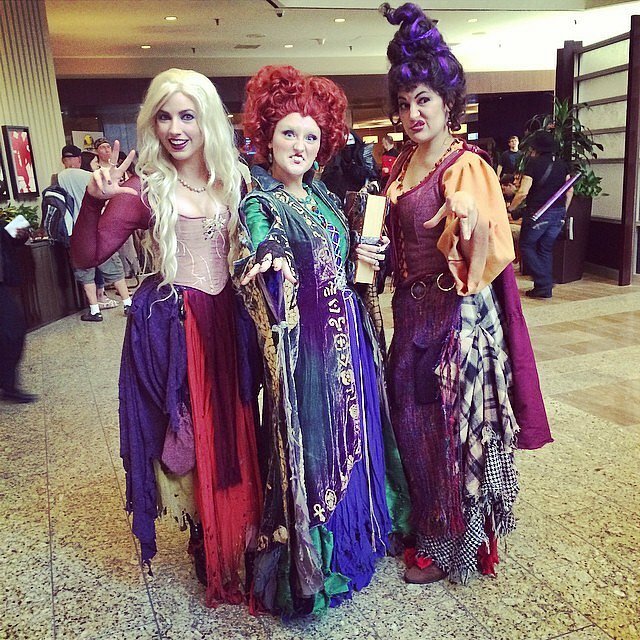 Choose your favorite witch and channel her with a corset, heavy makeup, and funny Halloween  puns. 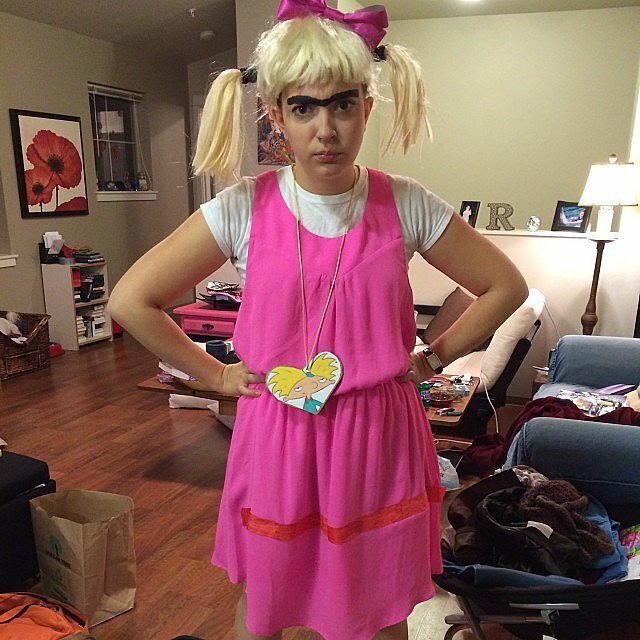 The key features of this cartoon costume are pigtails, a pink bow, and a thick unibrow. Have fun bossing everybody around! 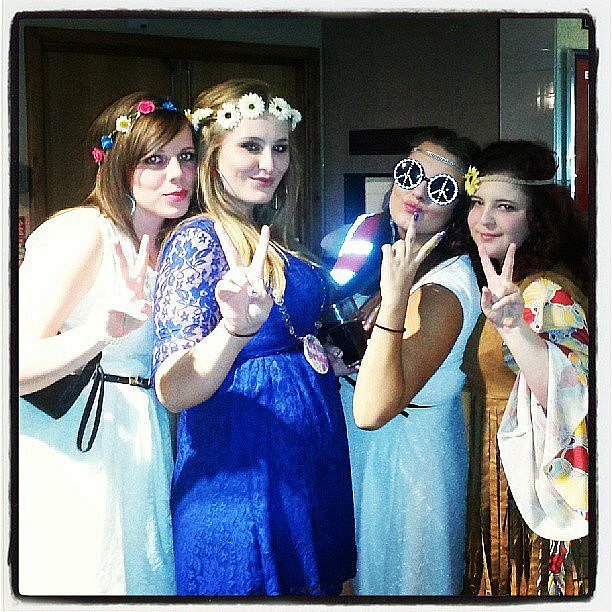 A flower-crowned head, thrifted florals and fringe, and a perpetual peace sign thrown up is the recipe for a costume filled with free love. 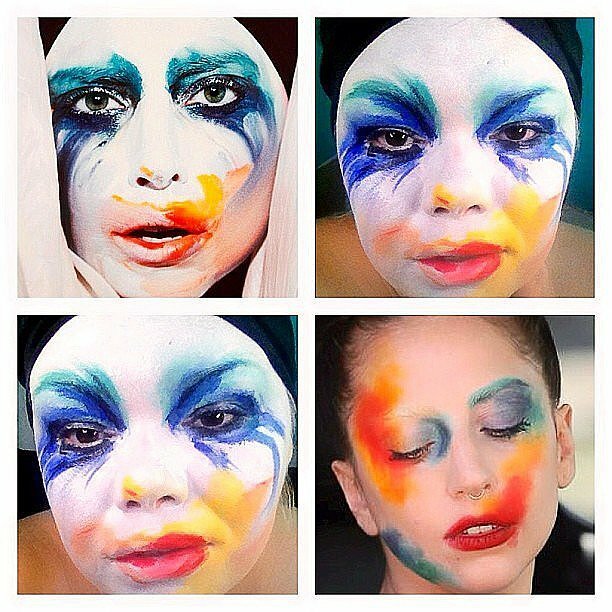 Dance the night away like Lady Gaga  with makeup from her Applause music video by buying different shades of face paint and watching this YouTube tutorial . Mary Poppins is definitely one supercalifragilisticexpialidocious Halloween  costume! 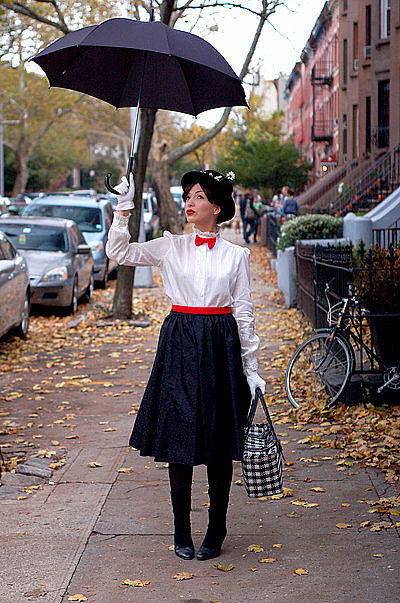 Don't forget your umbrella, big bag, and a red tie to make this costume as sweet as a spoonful of sugar. 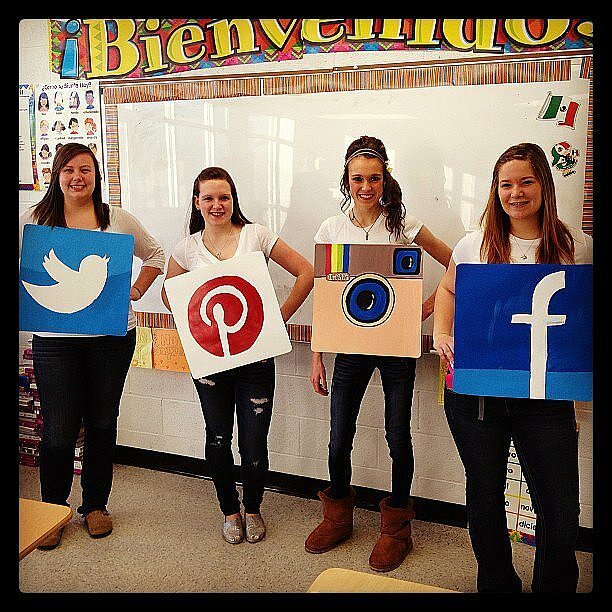 This costume is so easy! 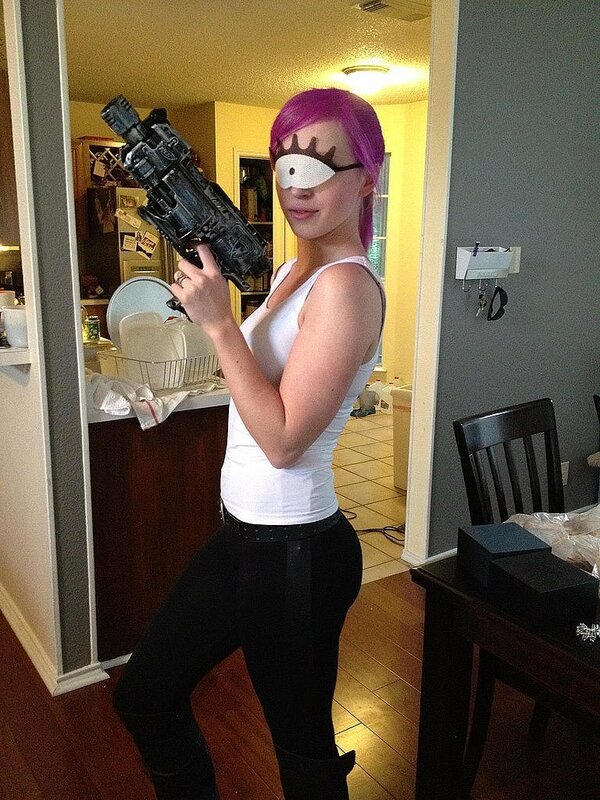 Create a large, fake eye, then don a white tank and black pants. 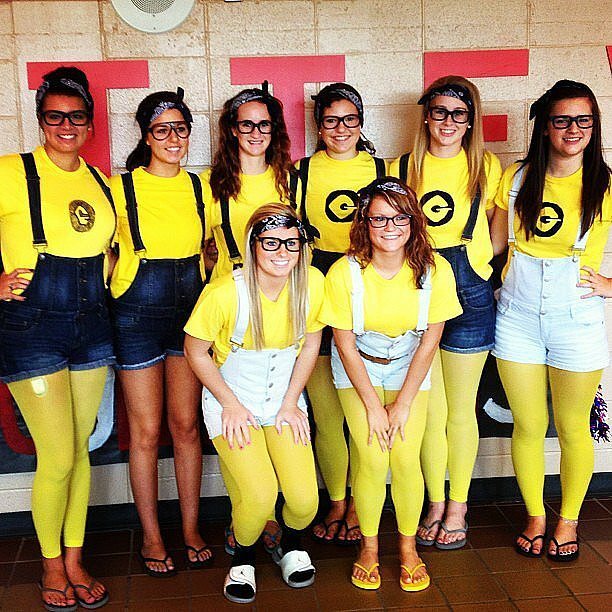 Show off your love for Despicable Me by going yellow this holiday. 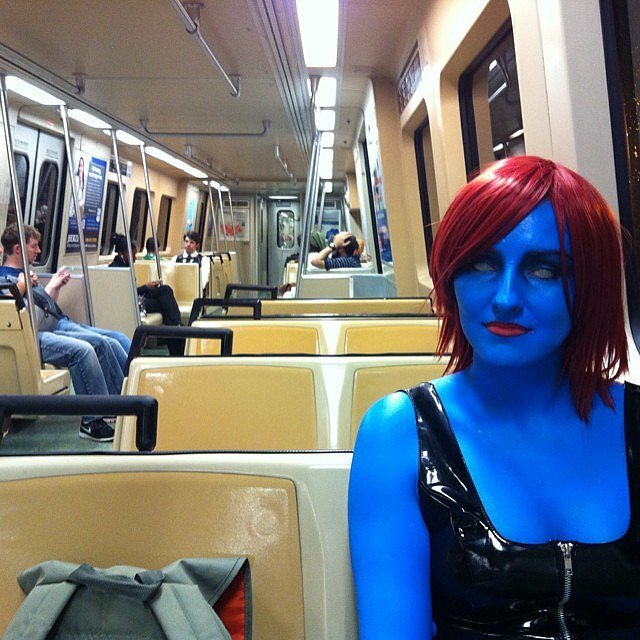 A red wig and blue body paint will help you transform into this shape-shifting mutant. 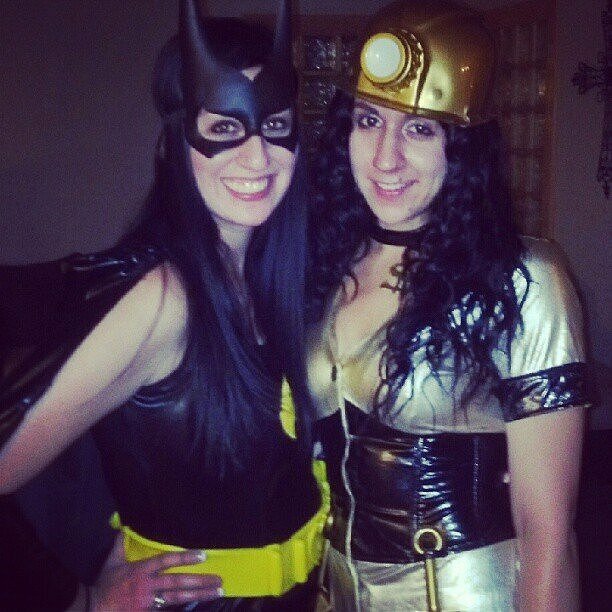 The night owl is the perfect costume for those who want to party all night long. You can DIY  this look with lots of felt for the feathers and an owl mask. Dress in a typical going-out outfit but add animal paint to your face and body. Some classics include lion, zebra, and panda designs. Just make sure to be the life of the party! 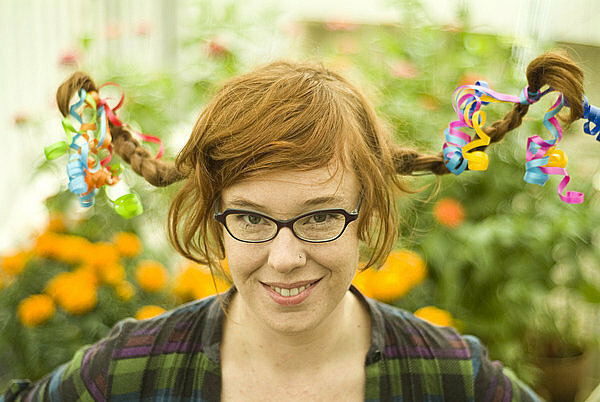 The hair is key for this mischievous costume, so use wire and ribbons for standout pigtails. Paper streamers and party hats make for a cheap, fun, and unique costume this Fall. 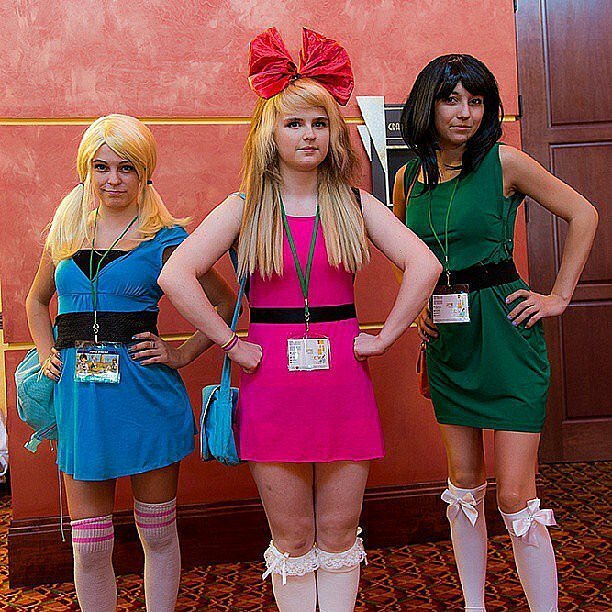 Whether you love Blossom, Bubbles, or Buttercup, you can dress as your favorite Townsville hero with a colored dress and white knee-high socks. 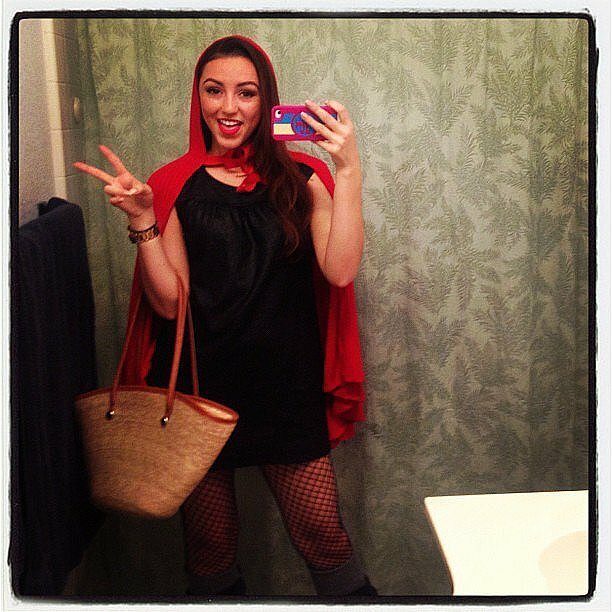 Pick up a basket and red cloak — just beware of big bad wolves. 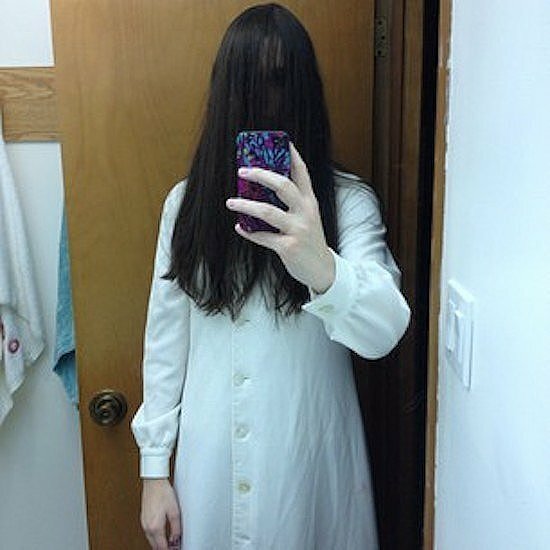 Be the creepiest scary movie girl with a white nightgown and long hair brushed into your face. 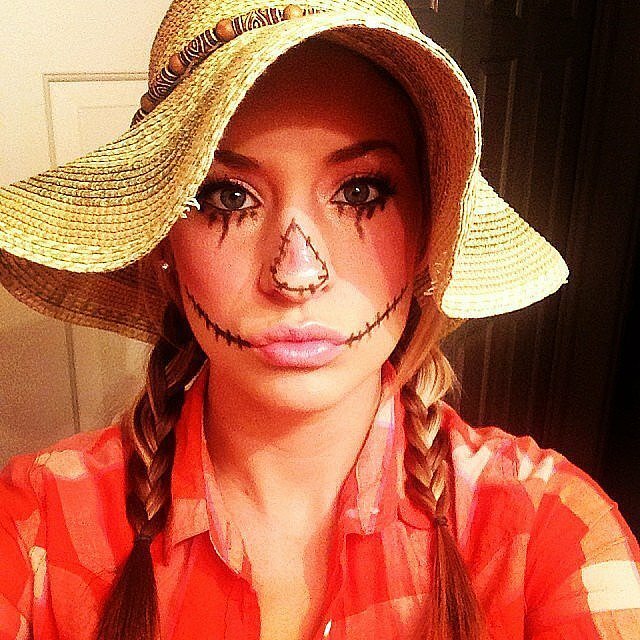 A straw hat, plaid shirt, and eyeliner stitches will help you transform into the ultimate symbol of Fall. 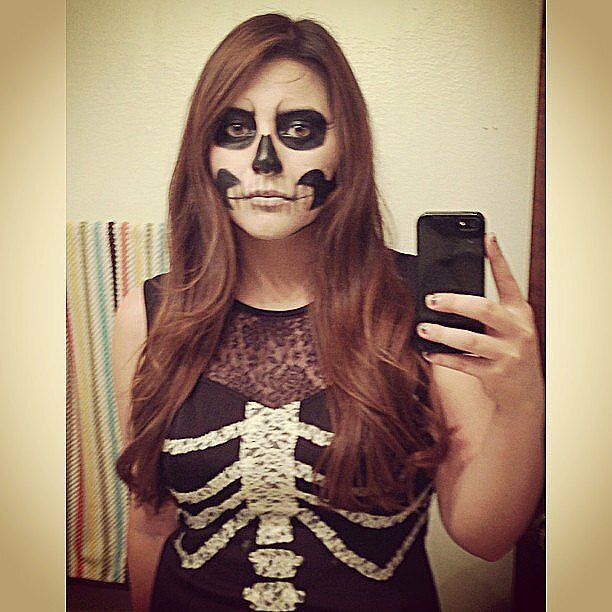 Skull makeup and black clothes will turn you into a dead girl walking. Can't get enough Instagram? Become it! Paint the platform's logo onto cardboard and wear it throughout Halloween  night. This combination is hilarious and easy! 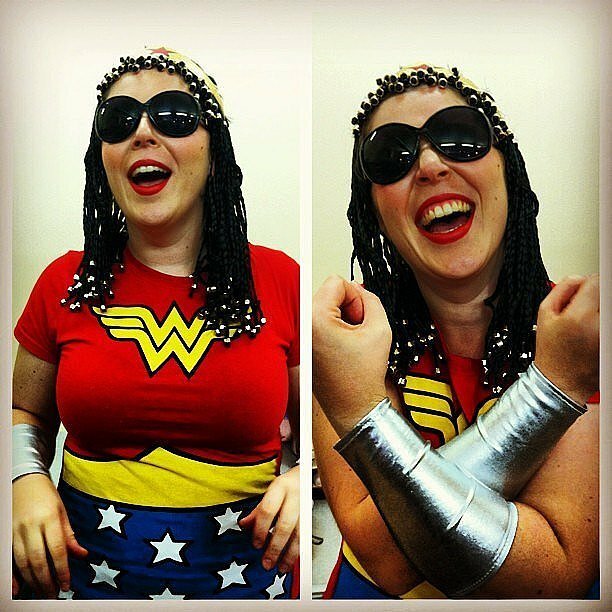 Add sunglasses and braids to any Wonder Woman attire for major laughs. Spray your hair up to ridiculous heights and spray it with bright temporary dye for this nostalgic blast from the past. Get a long back dress with long sleeves and a white collar (collar can be made and sewn on). Braid your hair, and dust white powder onto your face and hands for pale skin. 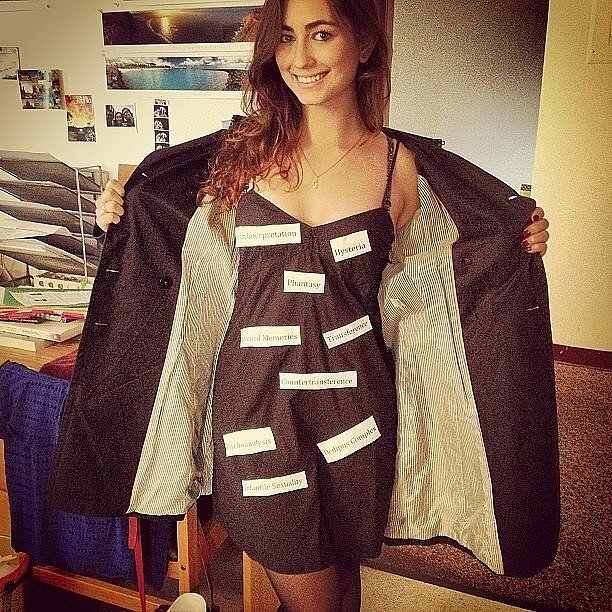 Don't forget the most important component aspect of the costume: sardonic remarks all night long! Find a full-skirted blue dress at a thrift store, tie a bow in your hair, and try to include a white apron for this Disney outfit.